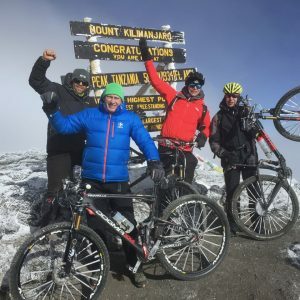 Onbike's Mountain bike Kilimanjaro offers the rare opportunity to ride your bike from the roof of Africa, into it's plains and amongst it's wildlife. Crank up the volume of that sneaky Johnny Clegg track on your playlist to set the scene for this one. We are about to downhill the highest mountain in Africa! A guided, self-supported 670km mountain bike expedition along the iconic southern Carretera Austral in Patagonia. Travel along lakes and fjords by ferry as we navigate waterways and continue to explore south. A three day guided mountain bike experience from the mountains to the ocean. Hone your skills on a variety of terrain as you explore the very best the Overberg has to offer. Have you ever descended 3500m on a downhill run before? Ride the World's most dangerous road, the Camina De Las Yungas, an experience of a lifetime as part of this high altitude mountain biking adventure in the Altiplano. 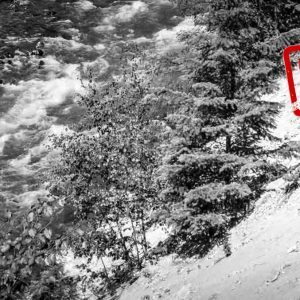 A guided self supported backcountry biking experience deep in the Chilcotin wilderness of Canada. Fly into the mountains with float plane, ride epic routes from camp to camp as you discover the trails in the country where mountain biking was born. Stay tuned for more information, or better yet, sign up for our newsletter (check the footer of this page) and we'll let you know once this trip is available to book! Onbike’s Mountain bike Kilimanjaro offers the rare opportunity to ride your bike from the roof of Africa, into it’s plains and amongst it’s wildlife. Crank up the volume of that sneaky Johnny Clegg track on your playlist to set the scene for this one. We are about to downhill the highest mountain in Africa! Riding through lush Patagonian forest and across the dry Patagonian steppe, this landscape of ancient forest, towering volcanoes, crystalline lakes and quaint towns makes a perfect backdrop for an incredible mountain bike traverse. Get on your bike and escape into the vast steppe in the land of Genghis Khan on our Mongolia mountain bike tour and adventure. Share in true Mongolia hospitality as we experience the traditional nomadic lifestyle, sleep in ger’s and witness untouched wilderness riding from the Gobi to the central Khangai region. Have you ever descended 3500m on a downhill run before? Ride the World’s most dangerous road, the Camina De Las Yungas, an experience of a lifetime as part of this high altitude mountain biking adventure in the Altiplano. Our tours brings you the best in biking lifestyle. With well planned routes, specially selected meals and hand picked accommodation you are free to enjoy your riding while we take care of the details. On tour you may ride from one destination to another or explore the best riding a particular location has to offer. Never too far from civilisation, we seek on and off the bike enjoyment. A focus on riding with time out to experience the finer things in life. This is the kind of trip which dreams are made of. Rides that will bag some serious bragging rights around the fire and special memories that will last a lifetime. Rolling across continents, traversing remote plateaus or discovering unridden trails, you can be sure to bike it all. Venturing to far away, pristine locations, losing one self in foreign cultures, living close to nature and sometimes, in the teeth of the elements. You form part of an expedition team, sharing a journey and common goal. We leave the comforts of modern civilisation behind, but never without careful planning, quality and expertise.